This entry was posted on February 8, 2019 at 6:32 pm	and is filed under Friday Photo. 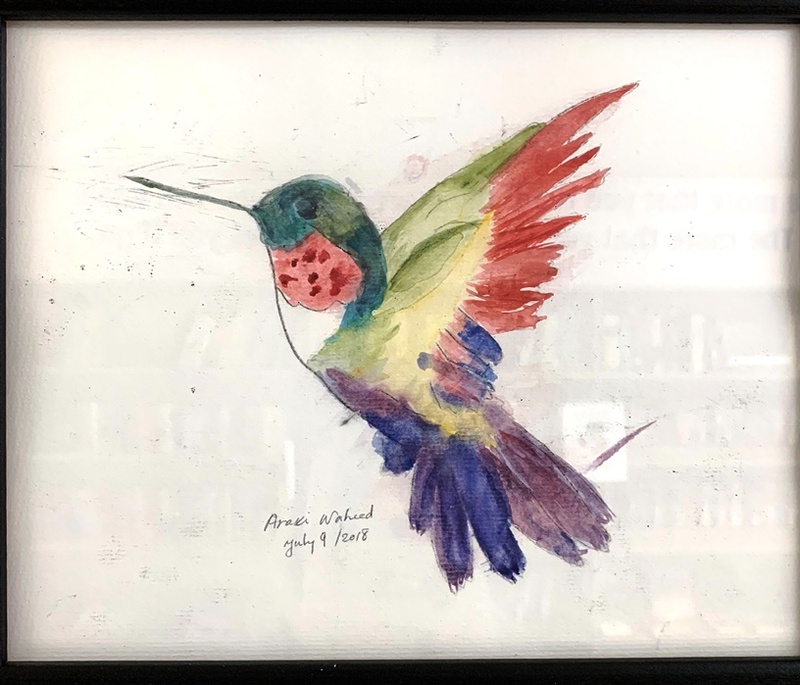 Tagged: community center exercise classes, Friday Photo, hummingbird watercolor, Yoga class. You can follow any responses to this entry through the RSS 2.0 feed. You can leave a response, or trackback from your own site. Yeah, I love the colors on these watercolors! I don’t know if it is a class or if they are just artists on their own. There is a group that meets on Thursdays before the yoga class I teach – they don’t use water colors, but they just meet to paint together, I don’t know if the water color painters are the same.